Finnish betting operator Veikkaus is planning to cut 400 staff positions as part of a restructure following the downfall of its restaurant gambling division. The company said that support functions for restaurant tables and agent sales and chain cooperation are planned for reorganisation, in a drive that will see 1,300 of its 2,000 staff engage in redundancy negotiations. 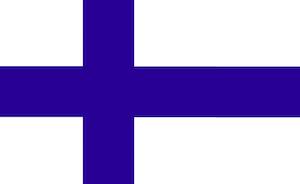 As it stands, Veikkaus has a total of 187 gaming tables in 162 restaurants and half of those involved in the negotiations work in the Helsinki area. A decline across the past decade has seen the state-run operator lose around 1,000 fewer sales points than in 2012. The shift to digital now sees 42 per cent of Veikkaus' net sales come from these channels. With almost 200 online casino games, including table games, on average 600,000 customers use services at veikkaus.fi every week.